The Casino Games can be so much fun, playing casino games can be entertaining and thrilling. You can visit a casino, not only to gamble, but also to enjoy the games given there. One of the most popular casino games is the Roulette. In roulette, the player places his chips on the table where they would like to wager. Roulette is a casino game named after the French word meaning little wheel. In the game, players may choose to place bets on either a single number or a range of numbers, the colors red or black, or whether the number is odd or even. 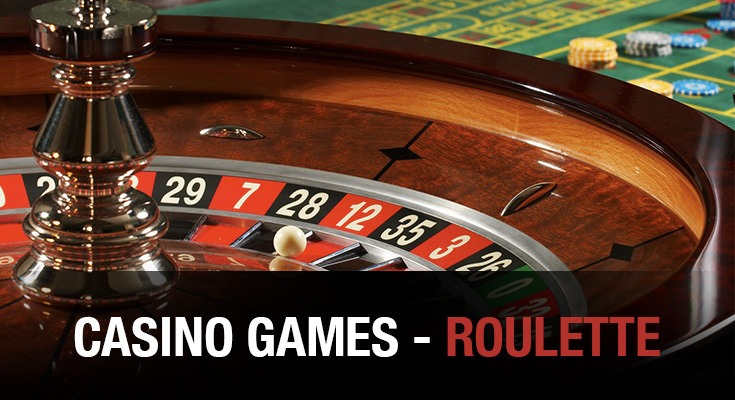 The roulette table consists of number 0-36 and 00 and then has additional betting for even-odd, red-black, low 18-high 18, low/middle/high 12, and for the first/second/third columns. A player may also place their bet between 2, 3, 4, or 5 numbers and may cross bet between the additional betting areas. The dealer will signal no more bets. The dealer will spin the roulette wheel in a clockwise direction then roll a ball in a counter-clockwise direction. The ball lands in a numbered slot on the wheel. All bets that correspond with the number win. Ready to Win! Start betting now! Stay tuned to our blog and learn how to play Online Poker at WagerWeb. 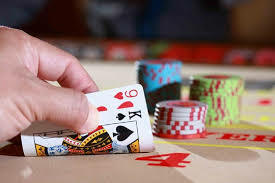 Badugi s a variant of draw poker and Is originated in Asia, the game can be played as pot-limit or no-limit, it is most commonly spread as a limit game. Badugi consists of 4 betting rounds total, beginning with only FOUR cards dealt face down to each placer, You can draw three times after your dealt the initial four. Your goal is to get the lowest four cards you can with the Ace being a 1, you also have to get all four of your suits to be different without pairing, straights and aces don’t hurt you in this game but pairs and cards of the same suit do. You want to have no pairs and no 2 cards with the same suite in your hand if possible. 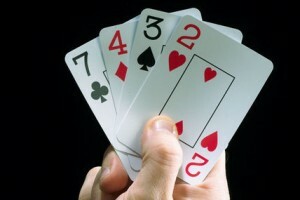 Any hand with no pair and 4 different suits is called a “Four Card Badugi” or just a Badugi. So a hand with 2,2,3,4 even with all 4 different suits would be called a “Three Card Badugi”, and would lose to ANY four card Badugi. Even A, K , Q, J multicolored beats A223 with all 4 suits different. Also any 3 card Badugi hand in turn beats any 2 card Badugi. The hand 6,8,8,8 with the 6 and one of the 8’s of different suits can only beat a worse 2 card Badugi hand like 9,9,7,7 with a 9 and 7 of different suits. A four card flush or straight flush like 7,8,9,10 of hearts would be considered a one card 7 Badugi with the lowest or best card being the 7, but this hand would still beat the one card Badugi hand of four eights (8,8,8,8), since the one card 7 low is lower than a one card 8 low. The best part about baccarat strategy is how simple it is – there are only three bets in the game, the Tie, the Player, and the Banker so you just have to choose the best one. Although the Tie bet pays out much more than the the Player or Banker bet, the house edge is much higher. The Player bet pays out 1:1 if the Player hand beats the Banker hand. The house edge on this bet is 1.24%, meaning that every dollar you bet on the Player will return (on average) $0.9876. The Banker bet pays out 1:1 if the Banker hand beats the Player hand. The house edge on this bet is 1.06%, meaning that every dollar you bet on the Banker will return (on average) $0.9894.